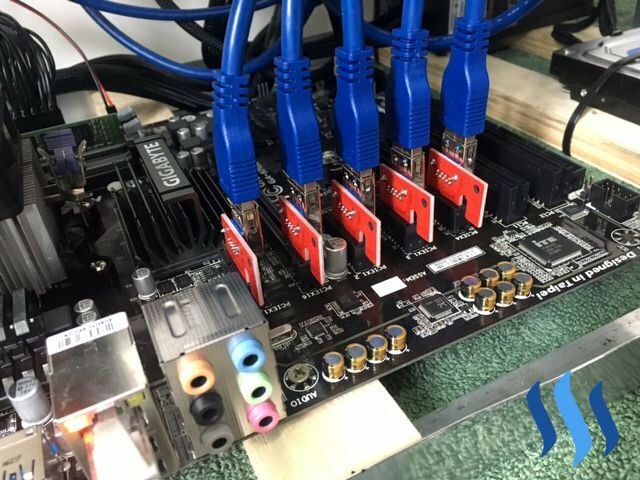 The Journey to mounting a Mining Rig - part2steemCreated with Sketch. So I'm almost ready to fire this badboy! If you missed my previous post check it out for information on what to buy, how to set up your own frame, mounting your motherboard onto the frame. My missing parts finally arrived in the mail ! A few quick tips for those who will attempt to do this for the first time. Place ONE GPU on the board and you are ready to power it up and install windows. Go to the AMD website for the updated drivers for the video card. Only after the drivers are installed and runing you should go about pluging in another video card. Make sure you unplug the power cord from the PSU before moving the cards on and off the motherboard. ( this sounds stupid but it's really important). So I pluged one card! Restarted the system and went ahead to plug in another card ... I did one at the time untill all 5 were installed and windows recognized them. The process is slow but you should not plug in more than one card at the time. Windows might have a hard time recognizing multiple cards at once. This is how all my 5 risers looked like after all installed. Note this is the correct way to palce them onto the MoBo. If you place them the wrong way you may fry your board/Gpu. In order to start mining I had to create a wallet. That is the address where the Rig will send the coins it has mined to. There are several ways for you to create a wallet. I suggest you do a lil research on how to create and backup your wallet. 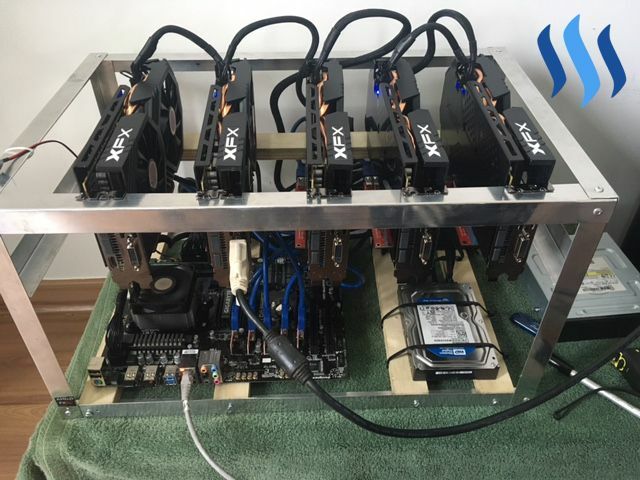 For now I will be mining Ethereum ( ETH ) but there are several different coins one could use a Gpu Rig like this to mine. -Im getting about 110mh/s without any overclocking and Bios change yet. 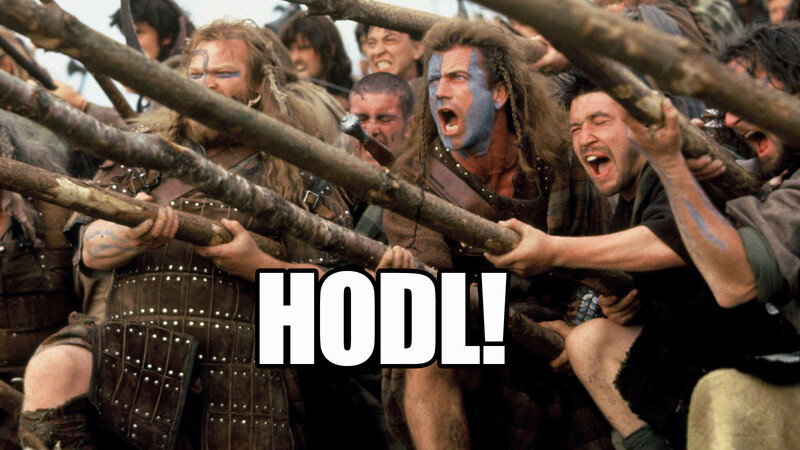 ... and remember dont sell your coins ! Congrats on your first rig, its addictive and hard to stop once you get going! Looks great. 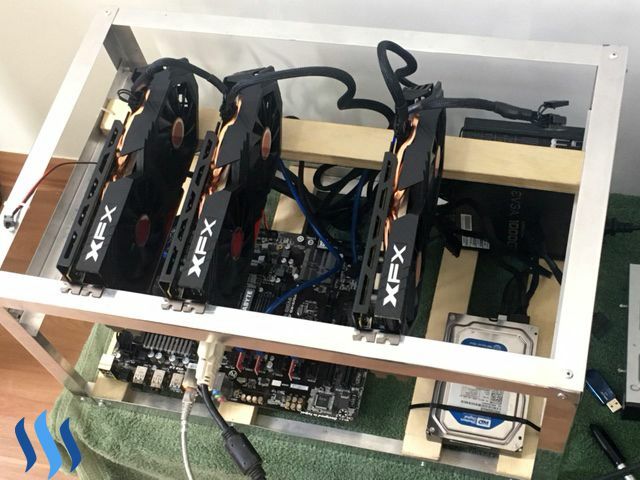 Could you also mine ETC with that rig ? Looks good! I see that you bought 4gb cards, in the coming months as the DAG size increases and the 4gb card's hashrate decreases what coin do you plan to mine? I beleive the increase on the Dag size will take longer than a few months to top 4gb. Im thinking I will mine ETH untill it changes from PoW to PoS. Then ill have to see what other coins will be available for GPU minimg when that happens. Zcash and ETC are my fav atm. That would be a good route, I decided to switch over from mining ETH to ETC yesterday and hope it doesn't end up biting me later. Welcome to the addicting world of mining! 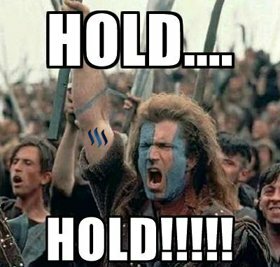 If you already have some ETH I beleive thats a wise choice imho. Im very found of ETC myself and Im very tempted to switch as well.